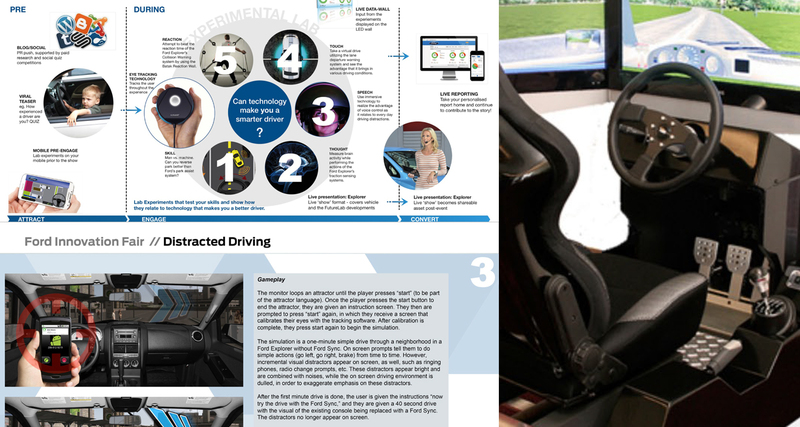 The Ford Innovation Fair Activation Deck was a user experience and marketing deck that explained the attraction, engagment, and conversion points for multiple experiential experiences on a trade floor. It consisted of marketing writeups, mockups, wireframes, and user journeys. A large amount of current (at the time) technological research combined with vendor vetting and further iterations resulted in the final product being delivered above expectations.